There are different theories on willpower. Originally it was thought that willpower was like a muscle that was easily depleted. And research backed this up. But newer research also suggests we have as much willpower as we expect we have. If you believe you have the willpower to resist interruptions, you will have it. Sort of like the placebo effect. This latter theory also seems to be backed up by research conducted at the University of Rochester as a follow-up to the marshmallow experiments of the 1960s. The original marshmallow experiments, referenced in my last blog article, were conducted at Stanford University by Walter Mischel, professor of psychology at Columbia University. He spent decades studying self-control. In the experiments of the 1960s, he monitored the ability of four-year-old children to resist a treat when left alone with it. The children were given a marshmallow and told that they could eat it immediately if they rang the bell to summon the researcher; but they would receive two of the treats if they could resist eating it until the researcher returned, Some of the children were able to wait over 15 minutes and some even longer; but most could not. Those who resisted the longest, showing the greatest self-control, were more successful later in life. 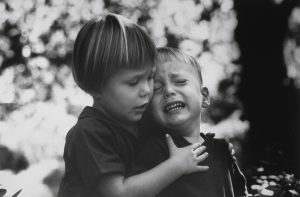 Long-term follow-up studies showed that a child’s ability to delay reward correlated with later academic success and adult income, as well as with the ability to tolerate stress and rejection. The Rochester experiments, however, involved giving one group of children old used crayons and telling them if they resisted playing with them, they would be given new ones. But they never received the new ones. Another group was told the same thing but the researchers made good on their promise of new crayons. When they all took the marshmallow test afterwards, the group with a good experience behind them resisted eating the marshmallow for 12 minutes. The other group, who obviously had lower expectations, lasted only two minutes. Although our brain hasn’t evolved recently, perhaps it doesn’t have to. We already have a brain capable of resisting temptation – although it may need strengthening – and we can still do a lot to remove the source of the temptation. Removing the source of temptation could involve turning off your handheld devices while you work on priority projects, keeping the paperwork, to do lists and other distractions out of sight while working on a specific task, and leaving your cell phone at home if you decide to work in a coffee shop. You could also do all your priority work in the same place — one devoid of distracting scenery, pictures or paraphernalia so your brain gets to associate that space with work. Resisting temptation might involve not going online or checking e-mail before 10 a.m., ignoring a ringing telephone when talking with family and friends, and resisting any urge to buy electronic devices that you really don’t need. Self-discipline or self-control, focus, attention, prioritizing and planning are essential if we are to remain effective in this digital age of speed. These are all functions of our executive center in the prefrontal cortex area of our brain. That’s why I claim that the time management battlefield has shifted from the office to the brain. When it comes to procrastination, it seems like our brain has a mind of its own. According to Esther Laandhuis, writing in the January/February, 2015 issue of Scientific American Mind, you can trick your brain into meeting any due date by thinking differently about deadlines. When we think of a deadline as something occurring in the present, we are more likely to begin the task. For example, something due this week would be perceived by the brain as something more urgent than something due this month; something due this month would be perceived as being more urgent that something due next month, and so on – even though the actual number of days to the deadline are identical. So a project due date of March 31st set on March 21st would prompt action faster than a due date of April 1st set on March 20th even though you had the same number of days to complete the task. Research confirms this. One experiment, published in the Journal of Consumer Research, involved asking 100 students when they would start a data-entry task if they had 5 days to complete it. The ones who were assigned the task late enough in April so the deadline fell in early May were less likely to start the task right away compared to those whose deadline fell in March – even thought they had the same number of days to work on the task. Since the brain seems to divide time into segments, we could use this fact by issuing assignments early enough so the deadlines fall in the same week, month or year. This might necessitate breaking the longer tasks or projects into shorter sub-tasks with shorter deadlines. It might also suggest that making New Year’s resolutions might be best moved to the middle of the year rather than the end of the year so that the deadlines fall in the same year. After all, leaving a resolution until next year when you thought of it this year could be construed as procrastination. Managing your brain, part 5. When we think of procrastination, we visualize someone rushing like crazy to get things done on time – risking mistakes, getting less than satisfactory results, and suffering undue stress and discomfort. But rushing to meet deadlines after delaying your start time is not the worst scenario. A much worse outcome results from delaying tasks that have no deadlines. Leaving things to the last minute causes stress for sure; but it’s usually dissipated quite harmlessly when you eventually complete the task on time. And unfortunately many people even leave things until the last minute intentionally, thinking they work faster and better with an adrenaline rush, which simply isn’t true. But the biggest problem occurs when there is no last minute. For instance, you may have life goals with no deadlines. You may want to write a book when you get time, or take a trip to Europe or revise your business brochure, organize your office and so on. If there are no deadlines, it doesn’t matter when you start – and quite often you never do. 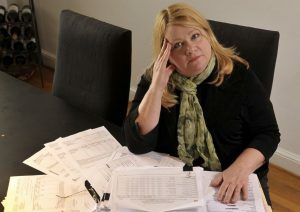 In this scenario the costs are horrendous – in terms of unfulfilled dreams, low self-esteem, a lack-luster life, and so on. Recommendations abound on how to stop procrastinating, such as setting deadlines on all tasks, breaking the longer tasks into smaller increments, scheduling time for the tasks in your planner, setting reminder alarms on your iPhone, and working in a clutter-free environment. All are helpful; especially for those of us who have weak executive skills such as task initiation and response inhibition. These skills are required in order to avoid procrastination. Children are especially prone to procrastination because their weak executive skills – those brain-based skills that mainly reside in the prefrontal cortex, take about twenty years to fully develop. The marshmallow experiments demonstrated this back in the sixties. A group of four-year olds were given a marshmallow and promised another if they could wait 20 minutes before eating the first one. Some children could wait but most could not. The researchers then followed the progress of each child into adolescence, and demonstrated that those with the greater ability to wait were better adjusted and more dependable and scored an average of 210 points higher on a scholastic aptitude test. Those who gave into temptation early on were more likely to be lonely, easily frustrated and stubborn. They didn’t cope well with stress and stayed clear of challenges. Yale University later conducted research on adults and found similar results. The executive skills that are needed in order to wait for the greater reward include task initiation and response inhibition. It may explain why we tend to procrastinate on distasteful or overwhelming tasks and work instead on those brief and pleasant tasks, even though they may be less important. 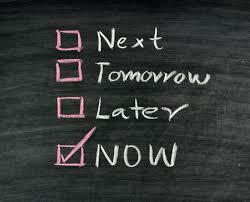 When we procrastinate, we are frequently putting off what we want most in order to get what we want at the moment. But how were some of the few four-year-olds, who all had weak executive skills (since these skills were not yet fully developed) able to resist temptation and wait for the second marshmallow? Well, in examining the tapes many years later, researchers noticed that those children used strategies that allowed them to resist temptation – strategies that we could use ourselves in order to manage ourselves more effectively. They all changed their environment in some way to offset their natural inclination to devour the marshmallow right away. Some put the marshmallow out of sight by sitting under the table or by facing away from the marshmallow. Others sang a song or hummed a tune, focusing their attention on something other than the marshmallow. They did something to avoid having to face the temptation. So the suggestions normally given, such as reducing distractions and temptations by turning off your cell phone while working on a project, removing distracting photos or memorabilia and working for shorter periods of time before taking a break tend to compensate somewhat for weak executive skills. But as adults, to be most effective in getting things done promptly and on time, we must maintain strong executive skills. And this includes continually exercising both physically and mentally, maintaining a healthy diet, getting adequate sleep, and balancing high-tech with high-touch, all of which are discussed in more detail in my ebook, Strengthen your brain’s executive skills, published by Bookboon.com. Self-discipline is the rejection of instant gratification in favor of something better – a higher and more rewarding goal. Once you have written down your goals and blocked off times in your planner to work on them, you have a greater reason to resist the temptation to go wherever your impulses take you. The more you resist temptation, the easier it becomes. Walter Mischel, in his book, The Marshmallow Test, suggests there is a limit to how much self-control we can exert before fatigue takes over, so don’t overwhelm yourself with too many goals. It took about 20 years for your executive skills to develop so it will take more than a few weeks to strengthen them. Avoid goals that don’t excite you or you will be more vulnerable to digital distractions and the lack of mindfulness. Telling other people about your specific goals and making commitments rather than just voicing intentions have been known to help as well. 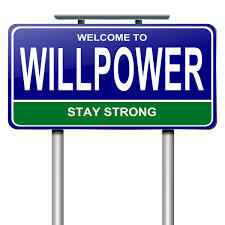 In my next blog I will discuss how to develop greater willpower. Mischel, Walter. The Marshmallow Test: Mastering Self-control. Little, Brown, 2014. Print. How do you develop a positive attitude? Feed your brain positive information. Studies in neuroscience prove that we can change our brains just by thinking. One example is the placebo effect. It’s not the sugar pill or saline solution that does the healing; it your belief that it will cure you that actually prompts the healing. Your brain already has fixed beliefs and habits formed over a lifetime of experiences and environmental influences. If the result is negativity, you can change this by managing your brain. If “you” were your brain, this would be impossible since you would already have your “mind” made up. But as mentioned in a previous article, you are not your brain. You are “the mind within the brain,” as the title of A. David Redish’s book suggests. “You,” (including your consciousness) are your mind. It resides within the prefrontal cortex of the brain according to Joe Dispenza, and whether it is without substance (perhaps being energy) is yet to be determined. But one thing is certain. You are able, through focused thought, to change the neurological make up of your brain and make physiological changes to your body. The key is focused thinking. That’s why meditation helps. Joe Dispenza, in in his book, You are the placebo, mentions that the most difficult part of mentally healing his six broken vertebrae was a continual loss of attention. He believes we spend too much attention and energy thinking about what we don’t want, instead of what we do want. So when you feed your brain with those positive thoughts mentioned in my last blog article (part 3 of this series) accept the fact that it may be difficult concentrating on what you want; but you will become more focused with practice. Not only can your mind influence your brain and your brain influence your body, your body can influence your brain as well. Sian Beilock, in her book, How the body knows it’s mind, explains how Botox injected into frown wrinkles can help cure depression. It not only eliminates the frown lines, but also the ability to frown. Botox contains a neurotoxin that paralyzes muscles in which it is injected. Physicians believe that not being able to express negative emotions reduces negative feelings. We have probably all experienced a situation where our mood was changed when forced to laugh. It’s hard to be angry when you’re smiling. And it has been shown that smiling while immersing your hand in ice water reduces the stress and lessens the pain. There is a definite connection between body and brain that we can use to alter our mood, attitude and behaviour. This will in turn impact our time, our health, and our lives. Beilock, Sian. How the Body Knows Its Mind: The Surprising Power of the Physical Environment to Influence How You Think and Feel. New York: Atria, 2015. Print. Dispenza, Joe. Evolve Your Brain: The Science of Changing Your Mind. Dearfield, FL: Health Communications, 2007. Print. Redish, A. David. The Mind within the Brain: How We Make Decisions and How Those Decisions Go Wrong. New York: Oxford UP, 2013. Print. According to Daniel Gilbert, in his book, Stumbling on Happiness (Random House, NY, 2007) at the root of most stress is the feeling of being out of control. I’m sure you know the feeling if you have ever been stuck in traffic, or waiting in a long line or suddenly told that the unrealistic deadline on your project has suddenly become more unrealistic. People have a natural inclination to control events and make things happen. Losing control makes them unhappy and stressed. Another study had student volunteers visit nursing home residents on a regular basis. Some residents were allowed to decide when the student was to come in and how long he or she stayed. The others were not given that option. The student just popped in. After 2 months, residents with control were happier, healthier, more active, and taking fewer medications than those in the low control group. Gaining control can have a positive impact on one’s health and well-being. But when the researchers had finished their study and all visits stopped, there were more deaths among the high control group than the low control group, showing that losing control once you’ve had it can be worse than never having had control in the first place. This could be related to disorganized people whose houses or offices are in a shambles and yet are happier than organized people whose lives are disrupted by sudden changes in environment, workload, and interruptions that move them into a disorganized state. Those who don’t rush through the day in a panic, but pace themselves and work efficiently, actually survive longer according to Matthew Edlund, author of The Body Clock Advantage. (Adams Media, 2003.) These people usually have routines for going to bed and rising at the same times every day, exercise and eating. They control their work versus letting their work determine when they go home, go to bed or exercise. Mental clutter is just as stressful as physical clutter. Writing things down and having a plan to get them done unclutters your mind, relieves anxiety, eliminates the fear of forgetting and makes you feel better. Ken Blanchard in the book, The One Minute Manager Balances Life & Work, (HarperCollins, 2004) made the comment that we should never put our health at risk in order to gain more money. Otherwise, he claimed, in later years we’ll be spending even more money in an attempt to regain our health. Other authors also have stated that losing control affects health and productivity. Stefan Klein, for instance, in his book The Secret Pulse of Time, said that stress originates in a surrender of control. People who lose control of their time end up sacrificing exercise, regular medical checkups, leisure activities, relaxation, and healthy eating habits. Keeping well is easier and more time effective than getting well. Healthy activities such as exercise, relaxation and leisure time should be scheduled in your planner if necessary, along with your priorities and major activities and events. If you don’t, the time in your planner may become filled with work-related activities and you may spiral out of control. Holistic time management aims to improve the whole life of an individual, not just his or her efficiency and effectiveness. Michael Harris, in his book, Absence: Reclaiming what we’ve lost in a world of constant connection, points out that as we embrace technology’s gifts, we forget what we are being asked for in return – for example, that the gaps in our schedules have disappeared. There is definitely a price to pay as we adopt technology, and one of the biggest costs is our time. Another cost is what we will leave behind. The next generation will never remember life before the Internet. Some things will be missing from their lives but they will never notice because for them they never were. We are the only generation, if you’re over 25, that can still notice the difference between before and after the Internet. Our grandchildren may never know how to read a map without GPS, but will they care? Or when we find ourselves checking e-mail before breakfast or taking calls on the way home in our car or checking Twitter and Facebook while having a coffee break at Starbucks, we can stop ourselves and say, “wait a minute — I need a break from all this I want time to unwind, relax and refresh, give my mind a rest, put myself in a creative mood, think about my new grandchild”, and so on. But the next generation, will not be able to say that because they will be born into this new world and won’t be able to visualize it being any other way. One thing I am trying to do through holistic time management is determine what it is we are leaving behind in this new age of technology, and if anything is worth preserving. Should we buy them electronic art pads – or crayons and paper? What impact will it have on the way their brains develop? Should I teach my great grandchildren how to write and spell and add and subtract — or simply buy them a computer and tell them which icons to click? And what about my adult family? Should I encourage one-on-one relationships or 1000 friends on Facebook? Walks through the woods, or 20 minutes on a treadmill? Home-cooked meals or fast food and take-outs? Reading books or watching Netflix? An active or sedentary lifestyle? And what about me? I’m in my eighties and have lived in both worlds. Should I reject technology and hand-write my books or use voice activated software? Look words up in the dictionary or use Spell-check? Pay for long distance calls or use Skype? Send greeting cards by snail mail or e-cards via the Internet? Is there anything good about the past that merits preserving? Anything bad about technology that requires controlling? And how does it all impact my chosen profession of time management? How does it impact your chosen profession and your lifestyle? In this digital age of speed and technology is time management even necessary? Or has it too become obsolete — soon to be a thing of the past? Well, the conclusion I came to was that time management as we have been teaching it is still relevant, but it is no longer sufficient. It has to change. We have been making statements such as “she is managing her time well” or “she is organized” — as though they were the goals. Time management and organization are not destinations that you’re aiming to arrive at. They are merely tools to help you achieve that kind of life you want to live. For most people this might be a lifestyle that includes being healthy, happy, relatively stress free, with time to do the things that bring you and your loved ones personal satisfaction. Time management is a journey, not an event, and time itself is not life; it simply measures its passing. It’s time for a new or expanded time management. I chose to label this new or changed time management as “holistic time management” simply because it involves strategies affecting the whole person, not just his or her efficiency and effectiveness as it relates to getting things done. I define holistic time management as “the strategies necessary to lead a happier, healthier, longer, more productive and fulfilling life.” I presume that this is the generic life goal of most people. 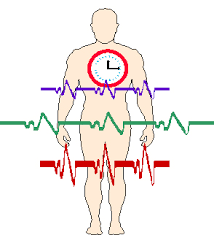 And in light of the new technological age that we now find ourselves in, I feel that in order to achieve this goal we need the strategies that take into consideration both external and internal time management as well as health, stress, lifestyle and environmental issues that affect body mind and spirit. Factors to consider in applying holistic time management include exercise, getting adequate sleep, keeping your brain healthy and active, avoiding excessive stress, developing your executive, brain-based skills, watching what you eat and so on. You need to control technology, your workload, your emotions and even your attitude. And your spiritual and mental conditions have a big impact on your health, longevity, and state of mind. For top performance and physical well-being, you have to consider all facets of a person’s life. That’s why you will see a wide range of articles in this blog page. But they all have a direct or indirect impact on how we manage our time and our life. The greatest time management strategy is to live longer, healthier, happier and more productive. It’s amazing how much you can accomplish with a few extra years.